marketers who are looking to establish brand awareness as well as push particular products and services. Here is a look at the options Facebook and Twitter offers for paid posts. Likewise LinkedIn has a few options and their terminology is similar and easily confused. 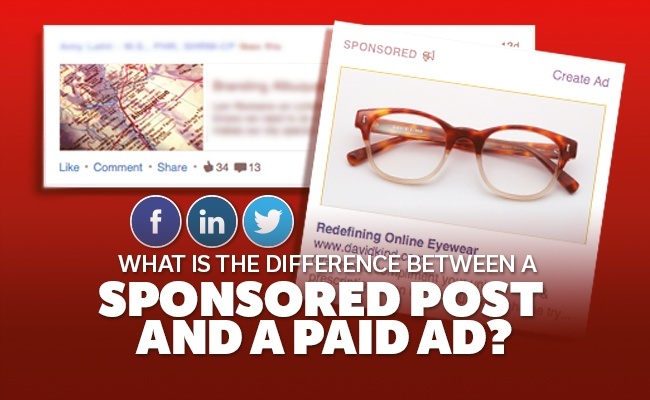 Read this blog post to learn what is the difference between a sponsored post and a paid ad? When businesses first turned to Facebook and LinkedIn for online marketing, all they had to do was create interesting posts and anyone who liked or followed the page would see them. Over the years, however, social media has made changes to what people see and how often posts from businesses are shown, even if they are not promotional posts. Today, in order for companies to get their posts in front of more than just a handful of their followers, they have to shell out some cash. A boosted post is one that is pushed into more newsfeeds of people who like your page and their friends, or people that you target based on location, age, gender, and interests. It works in the "native" environment of the social media site. You have the option of boosting any existing post on your timeline, and when you have a post that is getting more engagement than most of your others, Facebook will even suggest boosting it to get even better results. In LinkedIn, it's called a Sponsored Update. 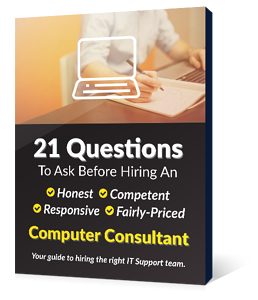 such as sending people to your website, a paid advertisement will give you better results. Boosted posts are paid advertising, but they appear in your timeline or newsfeed. Both Facebook and LinkedIn give you the option to create an ad based on your objective and includes options such as sending people to your website or raise attendance at your event. You can choose to pay per click, or spend a certain amount each day to get the results you are looking for and you can check your Ads Manager to see how your posts are performing and make adjustments. These separately displayed ads appear to the right side of the main newsfeed. These ads also allow you to be far more selective when it comes to your audience so you will be able to choose better targets and make the most of your advertising budget. Another benefit that ads have over boosted posts is the ability to test a number of different ads at once so you can get a better idea of which online marketing tactics are working and which to scrap. Whether you are boosting a post or paying for an ad, Facebook does not allow more than 20% of the post's image to be text so be careful when sharing links to ensure that the image that is pulled is not too text heavy. If you are not sure which paid format is best for your online marketing goals, remember that boosted posts work better when promoting within Facebook and LinkedIn, and display ads work better when you are trying to draw people away from it.